Buy online ESP-WROOM-32 WiFi & Bluetooth Dual-Core MCU Module in India at low price from DNA Technology, Nashik. 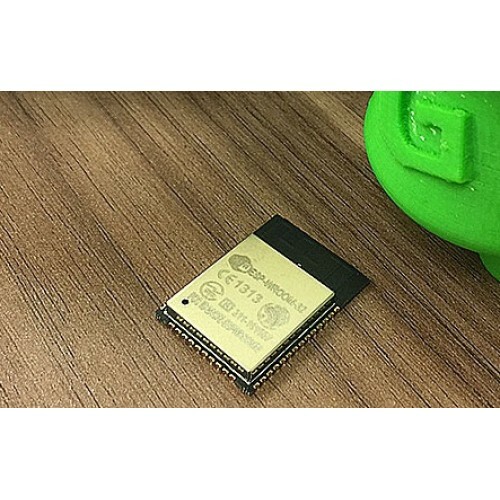 The ESP32 WiFi and Bluetooth chip is the latest generation of Espressif products. It has a dual-core 32-bit MCU, which integrates WiFi HT40 and Bluetooth/BLE 4.2 technology inside. Compared to the ESP8266 (the previous generation), the ESP-WROOM-32 has a significant performance improvement. 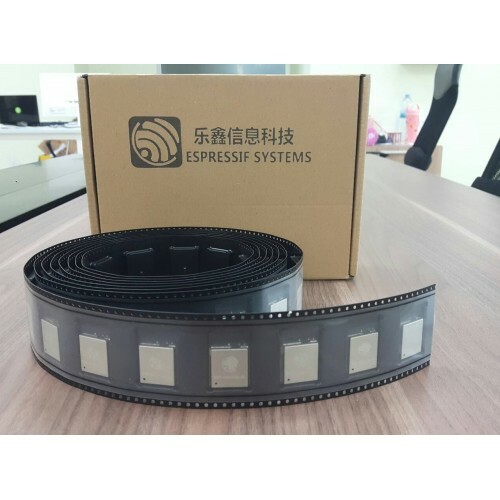 It is equipped with a high-performance dual-core Tensilica LX6 MCU. One core handles high speed connection and the other for standalone application development. The dual-core MCU has a 240 MHz frequency and a computing power of 600 DMIPS. In addition, it supports Wi-Fi HT40, Classic Bluetooth/BLE 4.2, and more GPIO resources. ESP32 chip integrates a wealth of hardware peripherals, including capacitive touch sensors, Hall sensors, low noise sensor amplifiers, SD card interfaces, Ethernet interfaces, high-speed SDIO / SPI, UART, I2S and I2C, etc. Engineered for mobile devices, wearable electronics and Internet of Things (IoT) applications, the ESP32 achieves ultra-low power consumption with a combination of several proprietary software applications. The state-of-the-art power saving features include fine resolution clock gating, power modes, and dynamic power scaling. Looking for easier implementation of ESP32? ESP32 Development Board now available with us. ESP32 WiFi-BLE ModuleCLICK HERE > ESP WROOM 32 wifi BLE Module now in stock < CLICK..
ESP32 Development BoardESP32 Development board is based on the ESP WROOM32 WIFI + BLE Module. This i..
ESP32-WROVER-IESP32-WROVER-I Wifi Bluetooth combo module is ultra high performance and ultra low-pow..
ESP32 PICO Kit V4The ESP32-PICO-D4 is a System-on-Chip (SoC) integrating an ESP32 chip together with..